A collaboration between Google Spotlight Stories, Nexus Studios, Google Arts & Culture and Cinematheque Francaise. Visit the Google home page today (May 3rd) and you'll find an unusual Doodle of a stick-thin man with a pristine suit. Click and you'll be presented with a YouTube player that brings the quirky figure -- French filmmaker Georges Méliès -- and his creations to life in a wonderfully animated 360-degree short. Google is calling it a VR Doodle, which it is, sort of. Back to the Moon will be part of the Spotlight Stories app, which works with Cardboard and Daydream headsets. It will also be available for high-end VR headsets, such as the HTC Vive, through Steam and Viveport. Various Spotlight Stories, including Pearl, Buggy Night and Son of Jaguar, have been released on YouTube before. But they've never been promoted on the Google home page -- a surefire way to attract thousands, if not millions, of extra eyeballs. Not once has the program, which started with Windy Day on the Moto X in 2013, tackled a historical figure like Méliès, either. They're usually about original characters: a mouse chasing an orange hat on a blustery day, or a security guard pursuing Santa Claus on Christmas Eve. Some have promoted well-known properties, including The Simpsons and Gorillaz, but these are hardly Doodle material either. Google Doodles, meanwhile, have celebrated holidays, sporting events and historical figures like programmer Ada Lovelace and scientist Subrahmanyan Chandrasekhar. 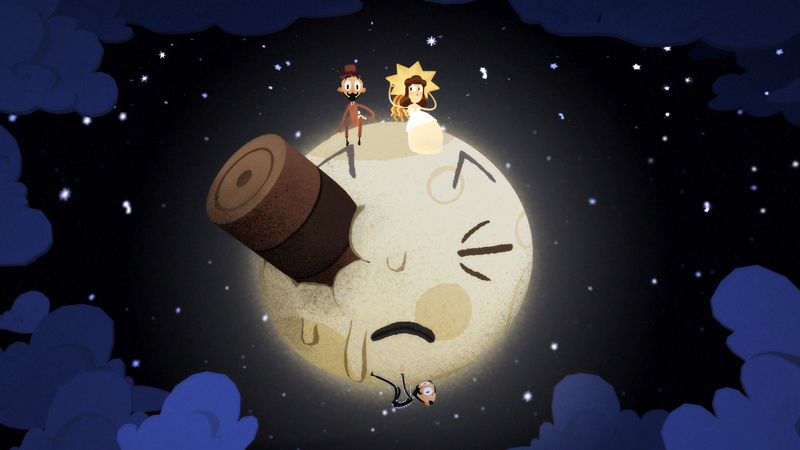 Helene Leroux, a Doodler in London, pitched a Méliès tribute to Google last summer. The director, who lived between 1861 and 1938, pioneered a host of special effects, including the substitution splice -- an early version of the jump cut -- multiple exposures and time-lapse photography. He made more than 500 films throughout his career, among them A Trip to the Moon, The Impossible Voyage and The One-Man Band. He often starred in his own films and contributed to almost every aspect of their production, from set designs to directing actors. Initially, Leroux wanted to make a Doodle video, possibly with a mixture of animation and live action. Google encouraged her to make a VR film instead, which quickly led to a conversation with the Spotlight Stories team and Nexus Studios, a company in London and Los Angeles that specializes in film, animation and interactive stories. Nexus had worked on Rain or Shine, another Spotlight Story that was adapted into a full VR experience last year. By sheer chance, Leroux knew the team -- she had interned there a few years ago -- and was good friends with François-Xavier "FX" Goby, a French filmmaker who became the short's co-director. Next, Leroux contacted the Google Arts & Culture team in Paris. The department had a relationship with Cinémathèque Française, a French film organization that holds one of the largest movie archives in the world, including what's left of Méliès' work. Last November, Leroux and Goby visited Paris and pored over everything in the collection, including costumes, drawings and, of course, Méliès' films. "Being there and seeing the real things, it was extremely inspiring," Goby said. Leroux, Goby and the rest of the team then worked on the Doodle in earnest. They took imagery from Méliès' most iconic films -- the lunar landing from A Trip to the Moon, for instance -- and developed a simple story that included Méliès' wife, who appeared in many of his films, as a capable princess and love interest. Finally, the team sought out the best example of each special effect that Méliès had invented. These include the duplication and double-exposure trick from The One-Man Band and the replacement maneuver -- in which Méliès would stop the camera, switch characters and start filming again -- from The Living Playing Cards. It all comes together in a Toy Story–inspired piece starring Méliès, the princess and some musicians in a room filled with giant books, games and props. They dance and briefly travel underwater before vanquishing a villain with a well-timed "cache" -- a black board that Méliès used to make certain elements "disappear" during his monochrome films. The wraparound view made it difficult to choreograph. The team broke it down into three layers -- the main action, the background musicians and the circular set -- to make the storyboarding process more manageable. "I remember freaking out about the storyboard," Leroux said. "Because you don't have any frames, per se, where you can draw your compositions. So it's like, what do you start with? The backgrounds or the main action? After a while, we just created a layout of the scene and took it from there." It's a simple story to follow, and most of the action takes place right in front of you. The viewer is free, however, to look elsewhere, and if you're using the Spotlight Stories app, the movie will adapt accordingly. If you look at the musicians, for instance, the main action -- Méliès and his wife -- will wait off-screen until you turn your head back. That's possible because of some special Google software called the Spotlight Stories Editor, which allows for nodal-based logic, similar to what's used in a video game. "It's immersive theater much more than it is a film." Mark Davies, a CG supervisor at Nexus Studios, says it works like punch-drunk-style theater. "It's immersive theater much more than it is a film," he said. "Because the actor is there, and if they see that you're staring at the floor, the ceiling or something else, they'll wait for you to turn around, and go, 'Oh, yes, I can begin acting again.'" It's a subtle technique that most viewers won't even notice. "It's there as a mechanism to vary the pace of the story depending on the attention of the audience," Jan Pinkava, creative director of Google Spotlight Stories, added. The new Doodle has a wonderful score by Mathieu Alvado, who took inspiration from ragtime music and the dramatic sounds of early cinema. "Musically, we wanted to make you feel as though you were watching an old movie, but with a modern touch," Goby said. The final track was recorded at AIR Studios with the prestigious London Symphony Orchestra. 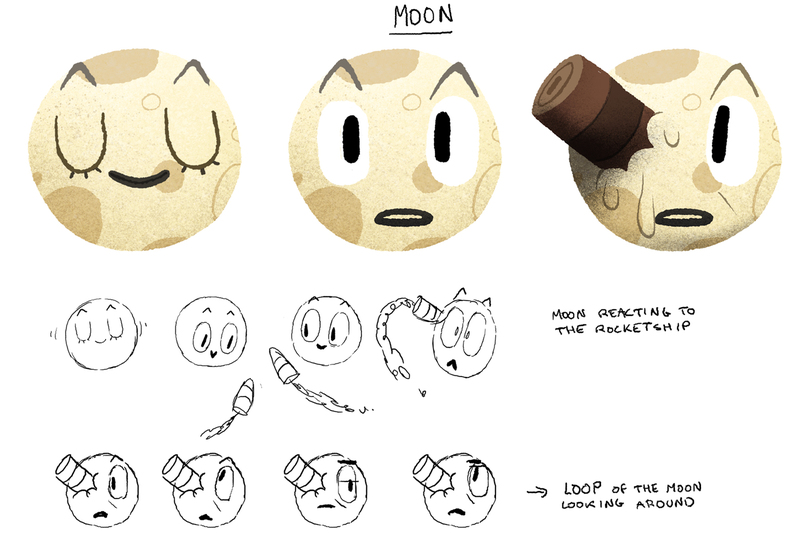 Back to the Moon isn't the most ambitious Spotlight Story, but that's by design. For many people, this will be their first exposure to 360-degree video, and Nexus Studios didn't want to bombard them with wild character movements and multiple, simultaneous storylines. It's also why the movie starts with a two-dimensional depiction of Méliès, before expanding to a spotlight and finally a brightly lit room. "You're taken by the hand," Goby said, "so within 30 seconds you understand that you can look around; however, it's not overwhelming from the first frame." The Spotlight Stories team is also realizing that confining the action to a portion of the scene can be more impactful and enjoyable for the viewer. "I think with experience we're realizing that people actually like it when the action is set in front of you and not all around," Leroux added. The Doodle is being released on May 3rd, 106 years after the premiere of The Conquest of the Pole, one of Méliès' greatest films. It's a charming and, more important, educational short. One that will inspire some people to research Méliès and learn more about his surreal, experimental effects. For Google, of course, it's also an opportunity to lure people into its VR ecosystem. Cardboard has sold well enough, but Daydream adoption has been slow, in part because so few smartphones support it. The other problem is content: Google needs to prove that Daydream has a library worth paying for. Back to the Moon is a great showpiece, and putting it on the front page of Google is a blunt but effective way of attracting attention to mobile VR. "It's a wonderful stage on which this production can exist," Pinkava said. "It is perhaps the most theatrically developed Doodle that Google has ever done. And so to be part of that is absolutely fabulous."